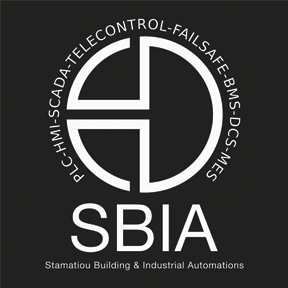 Stamatiou Evangelos Automation Engineer & CEO Two decades on field experience along with the passion for continue improvement and innovation in the industrial automation sector led this company to be among the best in Greece and its owner and founder Mr. Stamatiou Evangelos to be a top level PLC/SCADA Engineer/Programmer, expert in Simatic and networks admin. 600 successful delivered projects only the last 10 years with great impact and result on client’s processes, with some of them unique in its kind globally, can certify at least his will in progression and perfection. His team consists of high qualified technicians and experts that can cover and deliver any automation project around the world. Karakitsios Nikolaos Electro Mechanical Engineer & Technical Manager, Licensed for large scale electro projects Contractor with over 20 years of experience on the field and dozens of delivered projects. His team can handle any type of electromechanical and building installation from main distribution to control power systems as also technical nomination, electro engineering studies and documentation. Kouremenos Akis Civil Engineer & Construction Manager, Licensed for civil construction projects Contractor with over 25 years of experience and hundreds of delivered projects. His team is capable of professional, in time and accurate construction executing along with civil works licensing and working handling. Mylonas Alexandros Enterprise level Licensed Accountant & Account Manager with over 20 years of experience in accounting and company management. His team can guaranty the highest quality contracting and project/client affairs handling as also B2B services, warranties, invoices, bank relations and exports. Floros Themis Networks Admin & IT Manager 15 years on field experience for server, networking, communications and cloud development and management. Licensed Network Admin and Radio Communications Expert.